Coffee is a main staple in the American diet. Morning, noon and night you can find people brewing up and drinking down cup after cup. The warm, inviting beverage has been a mainstay in American culture since its inception. However, new research is showing that perhaps hot-brewed coffee isn’t our best bet. Coffee contains many phytochemicals, antioxidants and other nutrients that research has shown as beneficial to our bodies. But unfortunately, drinking coffee can sometimes cause acid reflux or similar issues. Luckily, some research has shown you can still have your daily coffee(s) if you brew it cold. Coffee brewed hot is far more acidic than cold-brewed, according to a number of scientific studies, and some say cold-brewed coffee even has a sweeter taste because of its lower acidity. In general, your body requires a delicate balance (pH) of acidity and alkalinity to function and heal. The human body thrives with a higher level of alkalinity than acidity, and the foods and drinks we ingest determine, in part, our pH levels. When you drink high-acidity coffee your body’s pH becomes unbalanced, often creating discomfort for the consumer. If drinking hot coffee causes such issues for you, try switching to cold-brewed. The benefits will still be present, but hopefully the discomfort won’t. If you truly prefer hot coffee, simply brew it cold and strong, and mix in hot water before you drink it. Making this small change in your routine could mean the difference between feeling bad and feeling better. 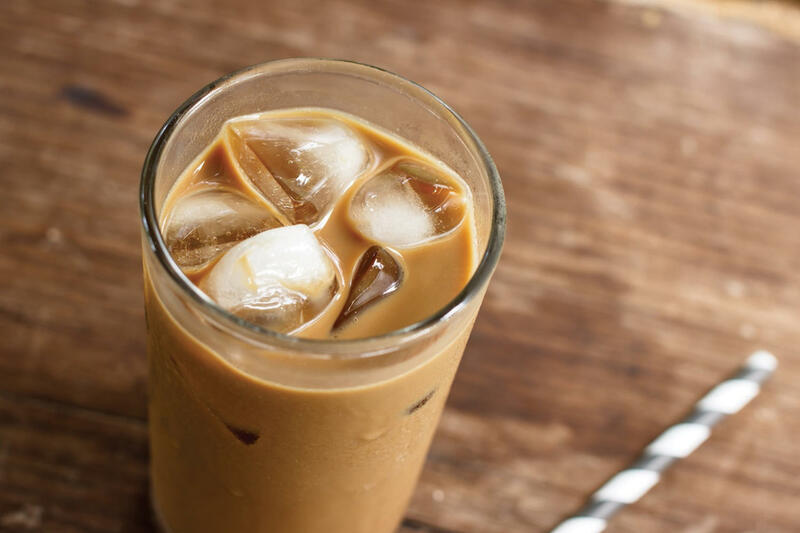 The process of making cold-brewed coffee is simple: Steep ground coffee (preferably coarse) in water using a coffee filter, cheese cloth or nut milk bag. While steeping, store in a room temperature or colder setting, soaking for 12 hours or more. Cold-brewed coffee doesn’t go stale as quickly as hot-brewed, so feel free to make a big batch and enjoy the ease of your new morning coffee!